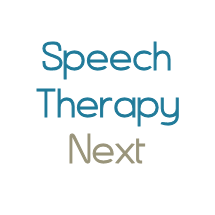 Katie has been qualified and practising as a paediatric Speech and Language Therapist since 1999. She has a broad range and depth of experience from her work in Community clinics, Schools and Nurseries, Pre-school Language Units, Locum therapy work and an exciting project being employed by 12 Mainstream Schools to oversee the staff delivering the therapy. Katie started her independent practise in 2007, alongside NHS work in Brighton and then in Cambridge. Since then Katie relocated to Olney and has worked in Cambridgeshire, Northamptonshire and Buckinghamshire. Katie's therapy is effective and always in partnership with the family of the child and the Nursery or School setting, as appropriate. Katie has reviews from some of the many parents and teachers and SENCo's she has worked alongside.